Clipboard helps schools run great extracurricular programs. Uphold duty of care, save time and save money. The use of multiple manual systems such as spreadsheets and paper can lead to crucial student information being inaccurate, taking time to communicate, or not being recorded at all. 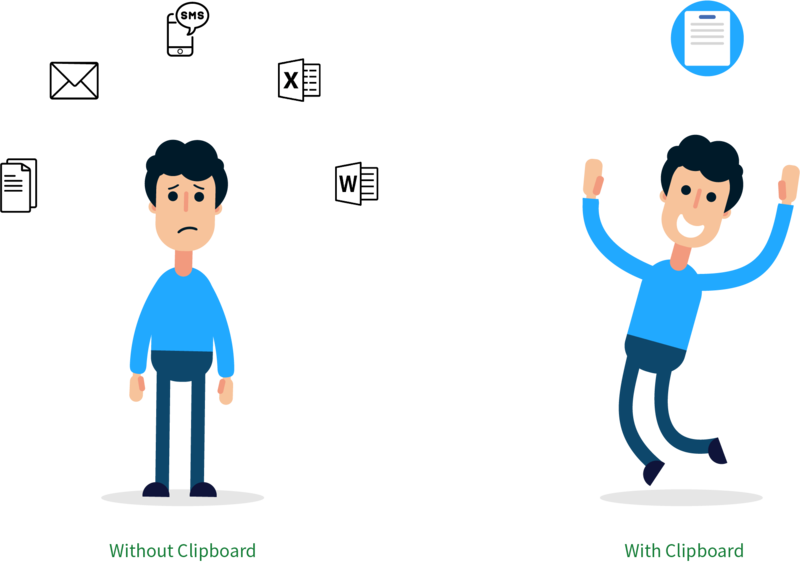 Clipboard makes it easy for staff to record critial information such as attendance and incidents, providing you instant access to the information you need. Using a variety of generic systems that are not built for your needs in managing extracurricular programs leads to an overload of administrative work. Clipboard provides a single source of truth for all extracurricular activities, saving hours of work each week by streamlining processes. Manual timesheeting systems can lead to inaccurate information such as staff overstating their hours worked, costing schools up to $100,000 per year. Clipboard automatically picks up on suspicious hours, helping your school save money. "Being able to see all our information in one place and then easily communicate with our staff has made our records more accurate, upholding duty of care and making life so much easier!" "Prior to Clipboard, I personally had to work through paper timesheets and review them all which would take me about 6 hours per pay cycle, but now they all appear in Clipboard where I can review and sign off timesheets at the click of a button!" "Clipboard gives us both broad and focused data analysis so we can monitor trends and report on the performance of individuals and teams. With insights into incident reports, we can also track the occurrence of injuries (with instant email notifications) and work to ensure the safety of our students across our co-curricular program." "Communication regarding coach availability, changing shifts etc. had previously required a lot of phone calls, text messages and back and forth between coaches. Now with Clipboard, coaches are able to easily enter their availability and I can set up a season’s worth of sessions within minutes." 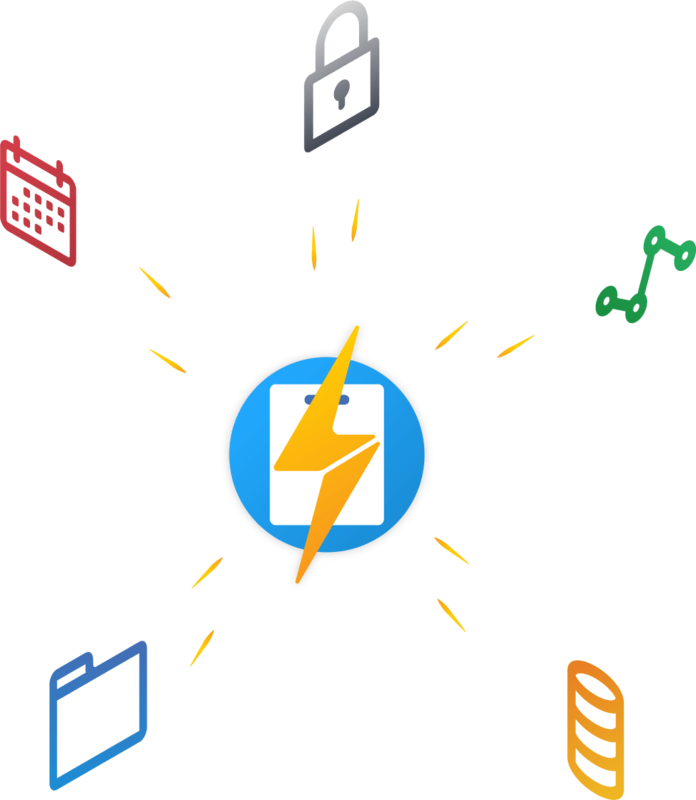 Clipboard saves you time and money by consolidating your administrative processes into one true home for all extracurricular managememt. Quickly create sessions and notify staff. Always know if your staff are free to work. Replace manual timesheets with an online system that is quick, smart, and saves money. Stay on top of your school’s duty of care with easy roll marking and powerful reporting. Easily manage teams across all activities from one centralised location. Track the occurrence of incidents with custom report forms and instant notifications. With zero effort, see results from all of your school's fixtures. Ensure staff always have the documents they need. Easy access to all important information about your staff. 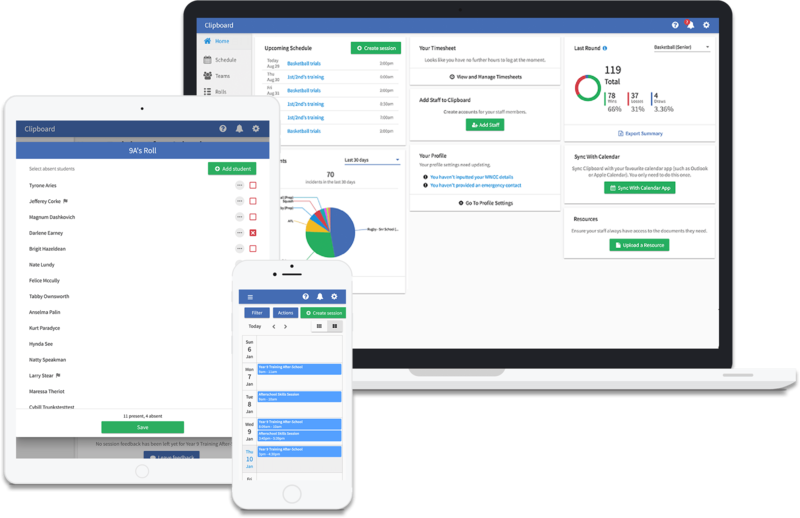 Seamlessly and securely integrate your existing school systems with Clipboard through our custom, purpose-built Clipboard Connect Client.